A film about a Pole riding in Europe. Conor Macfarlane and Hutchinson UR team wrench Jamie Tilbury crack the seal on a spanky new flow trail in the Queenstown Bike Park. 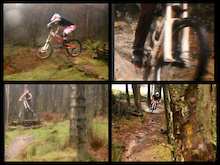 Brendog, Sam Reynolds, Olly Wilkins and friends ride Woburn Sands. 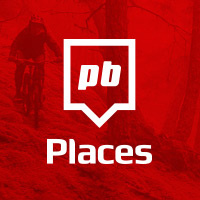 Stoked to see a fresh eye on the local trails that we at Pinkbike get the privilege of riding regularly. This is the second installment of Inside the Biotop featuring the whole Biotop team. Video: What's Enduro Mountain Biking? Still not sure what enduro is? Prepare for a tongue-in-cheek explanation! At a loss for your Friday night? The Red Bull Illume Photography forum is on tonight in Vancouver. Filip Polc spends a lot of time in Brazil and on his last visit Pedro Cury sat down with the Polcster to chat about racing and see why he loves Brazil so much. Rockstar Beskidia Downhill is back for 2014 with a few new changes. Still not clear on what enduro is? Prepare for a tongue-in-cheek explanation! It's refreshing to watch riders at full speed with no slow motion or music. Pinkbike Poll: Should We Get Rid of XC Eliminator? It was a good idea, maybe even a great one. It spoke to the biggest problem with mountain bike racing: access. XC Eliminator tried to bring XC racing to the masses. RiderState is a new mobile game that let's you conquer cities around the world on your bike. We catch up with big mountain shredder Garett Buehler. Help a fellow rider raise funds to support Spinal Cord Injury BC. 25 years of changing gears in the bike industry. What does it take to revisit one of the most technical trails you ever tried? Six more inches of suspension and a seven year stay of absence it seems. 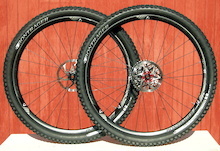 Big news from Canadian brand Rocky Mountain as they team up with Urge Bike Products for 2014. 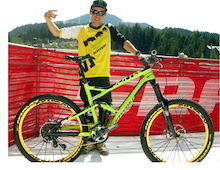 Cam Cole will be hard to miss at this year's World Cup races aboard his new Commencal. Enter the daily comp to win some sweet SCOTT gear! The number of indoor mountain bike parks continues to grow - take a look inside Cranx Bike and Sports Park in Syracuse, NY. Grassroots downhill racing returns to 'The Garden of England'. Tracey Hannah heads to Queenstown, New Zealand, to continue her preparation for the upcoming World Cup season. Trail riding after the rain has fallen is all time. Shine Riders company's inaugural Enduro ride at the Soquel Demonstration Forest (SDF) was this past Sunday above Aptos, California. Check out the videos from each of the 4X ProTour stops in 2013. Here's a look at rider and the man that is Bulldog, and some of the many highlights from his 2013 season on the Trek Session. Neil explains some simple pros and cons to each set up and gives suggestions on when to run either style. ENVE rider Logan Whitehead explores the ghost town of Grafton, Utah, and some of the state's original freeride trails. 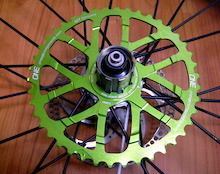 Does Industry Nine's radical approach to wheel design add up to a better final product? Joe Barnes' latest edit with this short film, 8 Wild Terns. McCaul and Renner go head to head in this desert showdown. Katie Holden and friends head south to Vuelta al Cotopaxi, a high altitude race in Ecuador. Mavic has been around for 125 years and they are as passionate now as ever. Check out the trailer for Nico Vink's new web series that's dropping next week. 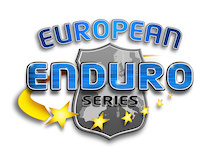 Enduro World Series today announced the 26 official teams for the 2014 series. Look for some familiar teams as well as a host of new faces. We take a look at the race calendar for the 2014 season of the Bluegrass Enduro Tour. We take a look at a whole bunch of new products from the British component manufacturer. We take a look inside the factory of one of the most prestigious saddle makers in cycling. Today's introductory Tech Spotlight shows you how to perform a functional wash on your bike to keep it running smoother for longer. Tech Spotlight is a how-to feature that runs through real world repairs and maintenance jobs on the last Tuesday of every month. Now that it's winter and the rain/snow has fallen in the Pacific Northwest, it's time to head indoors to the Burlington Bike Park. Mark April 5th and 6th on your calendars as the FMB tour comes to Vienna. We're stoked to see Casey Brown, Eddie Masters and Jack Moir are teaming up to hit World Cup DH courses and bring a new life to the pits as they send it from town to town. It's winter, so head inside for some park action. NSMB brings us a hilarious look at our spandex-clad friends. Do you have what it takes to be a roadie? The sequel to the number one iOS mountain bike game is on its way. Here are the results from the Australia Day action at Round 4 of the Victorian Downhill Series. This looks like a pretty fun way to celebrate New Years to us. 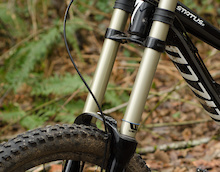 Norco's 140mm Sight gets the carbon treatment for 2014 - we put this svelte trail machine to the test. Aaron Gwin takes top spot at Round 2 of the Fontana Winter series. Legendary photographer Tim Kemple tests out his new camera with two of the most stylish riders in the sport, Kyle Strait and Tyler McCaul. We like whips. Julia Hofmann converted her Series 2A Land Rover into the ultimate road trip vehicle for mountain bikers. A photo recap from a weekend of hot and dusty downhill racing action in South Africa. Meet Chris Keeling, the winner of Megakids at the 2013 Megavalanche. Another glorious selection of videographic inspiration coming your way - it's Movie Monday. 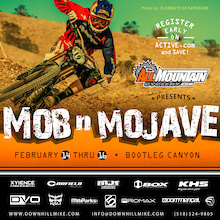 Head to Bootleg Canyon Feb 14th to 16th to get your DH race on. Nepal Cycling Association organised the 13th edition of National XC Mountain Bike Championship 2014 which was held in Chobar, Kathmandu at 25th January, 2014. This video is a school project that took 2 weeks to create. Check out this preview to the 2014 EWS stop. Waki's got the inside scoop on the latest technology from SheMan-Oh. Vedder mountain is where we at Pinkbike ride and test most of the goods in which you read about here on the site. We all hope that the vandalism stops now. This is what racing means to one person. How about you? Head to California and watch Ray George throw down. On a predominately mainstream sports channel, it's great to receive recognition for our sport! The End of Hafjell Bike Park? A cycling adventure high up in the mountains of West Tatras, Slovakia. The Pokoje Tour continues as the crew heads to the Wisla Stozek resort in Poland. Check out Luke Strobel as he rips up the Pacific Northwest on his trail bike. Pinkbike Poll: Do You Race? Are you a racer? A fan? None of the above? Weigh in on this week's poll topic. This is part two of Brayden's journey back from his head injury that he suffered this year at Crankworx, Whistler. We caught up with Antoine Bizet to find out how last season went, and what type of downhill bike flipping antics he has planned for this year. A season's worth of incredible images from photographer Matt DeLorme. It's Friday and we could all use some humour going into the weekend. Mikey Sylvestri gets after it on the rough and rocky Bootleg Canyon course. Showing off Canada's street and park scene one road trip at a time. The UK's premier all natural Enduro and All Mountain Sportive returns on August 2nd and 3rd 2014, Swaledale, North Yorkshire. Harri is looking quick this year. The TTC Gravity Park is having our first race weekend of the season, so tell all your friends! It's time to start thinking about bikes, summer and going to camp. It doesn't matter what kind of bike you ride, as long as you're having a good time in the woods. This kid is doing it right. We travelled to Burnaby, BC, for a closer look at Race Face's carbon manufacturing facility. The Australian Kona team are off to a good start for the 2014 season, with everyone posting solid results at the first Australian National round this past weekend. You've seen Dave Trumpore's work in Pinkbike's Photo of the Year contest and the Red Bull Illume. Now enjoy a gallery of amazing photos and learn how Trumpore made a photography career out of a passion for riding. 2014 Gravity season. We are ready. Bluegrass announces their 2014 team line-up. The UR Team is very proud to announce an important change in their suspension partners for the 2014 season. Aaron Gwin and Mike Day hitting laps at Bootleg Canyon at the Nevada State Champs. It's full on winter, so that means that it's time to book a trip to a warm climate to ride your DH bike and El Salvador is looking like a great place to go. Nico Vink and crew getting loose and sending it. What's it like to be the last person on course at a Megavalanche? New bike, new dirt line. A perfect combination. Who hasn't dreamed of doing this? Grab the fat bike and get after it. Check out the fun this crew had at their local ski hill. Santos, Valpo, Bratislava and a yet to be named location will make up the tour. What FMB athlete do you think deserves the People's Choice Award? With miles of singletrack descents and seven secret cablecars to access it, the Valais villagers have a lot to keep quiet about. Due to all the warm weather White Style has been postponed. Brendan Fairclough and Olly Wilkins hit up the flowy, berm filled trails of Swinley Forest. Cool to see a grassroots video and the work that went into it. This looks like great time was had by all at the Go Native Enduro. Follow Scottish identical twins Ross and Stuart Wilcox as they continue to evolve their DH and XC racing careers. In Brazil everything is harder, abusive parts prices, lack of incentives for the construction and maintenance of trails, but as Brazilians never give up, any difficulty is overcome. Good to see a healthy DH scene in Nepal. 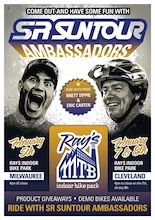 SR SUNTOUR's ambassadors of stoke coming to Ray's Indoor Bike Park February 5th, 7th and 8th, 2014. 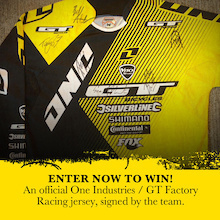 Fill out the easy entry form inside and you could win a signed Atherthon Racing Jersey from GT Bikes. Life is about challenges and exploring new ways. Why should mountain biking not be the same? Follow Tito Tomasi and get a ticket for adventure, in life as an artist and on the bike as reporter and bike explorer. Szymon Godziek is the featured rider in the new #RideYourWay video series. Watch his 2013 season highlights, and learn more about what it's like to be a professional rider. Nic Genovese of Mind Spark Cinema followed Kyle Norbraten around Red Bull Rampage 2013. Did Norbs get robbed again? This film really shows the stress (and fun) of Rampage from a rider's perspective. Those addicted to the original Pumped BMX mobile game will be happy to know an updated version including 3D graphics is due to be released Summer 2014. 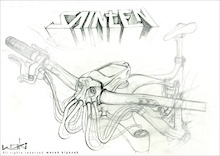 A year's worth of good times on bikes and motorcycles distilled into one sweet video. Every kid deserves a parent that's this dedicated to getting them on a bike. The New Zealand National Series fired up this weekend past in Christchurch with some big names taking top spots. Check Mini Flip Monday with the CDT gang. Does Mondraker's 10mm long stem and Forward Geometry turn their 160mm travel all-mountain machine into a downhill specialist? Ten riders, whose specialties run the gamut from slopestyle to cyclocross, make up the 2014 Kona Team. Yeti racing is shifting its focus to enduro racing and expanding its support to this discipline. 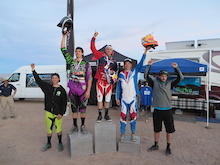 Aaron Gwin and Kevin Aiello take 1st and 2nd at the Nevada State Championships this past weekend. Stefan Garlicki's training regimen includes going ridiculously fast, throwing big whips, and boosting road gaps. We sat down with Aaron at the recent Fontana, California, winter race to talk about 2013, this coming season, and his bike setup. 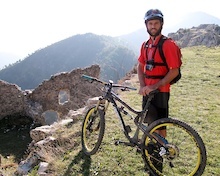 Take a look at the bike setup Matt Hunter used for his twelve day expedition in Afghanistan. Intense hires new leadership and reorganizes its factory in Temecula, California, to ensure that its next step will be a big one. A new European enduro race series is born! From the rainy ruts of Britain to the dustbowls of Australia we've got another week's worth of video inspiration for you. There's an immense variety of footage in this showreel, everything from dance parties to downhill racing. Only 16 years old, Vasily Sokolovsky is the Ukranian Junior National Champion, and he doesn't show any signs of slowing down. Longmont, Colorado's Alex Willie has just joined forces with Deflexion Racing out of Los Angeles, California. 2013 was an action packed year at Saafelden Leogang, and the 2014 season kicks off at the end of January with White Style. Connor Fearon and Troy Brosnan battled for the top spot as the Australian DH season got started with brutally hot temperatures. Mechanical Eye Media has brought us numerous great videos including the entire Rheeder Project series. Check out a collection of his best shots. Tired of soggy gloves and shoes? Check out this bombproof dryer. 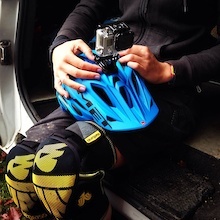 If Yeti wasn't busy making killer bikes and apparel, they'd make a pretty awesome media company. Check the selection of 2013 images their crew put together. The Vancouver International Mountain Film Festival is proud to present the Mountain Bike Show, an exciting collection of mountain bike films guaranteed to make your heart beat a little faster. Traveling through Norway in search of dirt jumps and good times. André Rodrigues is a Portugese rider who's working on breaking into the international racing scene. Peter Henke, Teo Gustavson and Thomas Genon enjoy themselves last winter as they escaped to California. Team W-racing joins Öhlins Suspension and Specialized bicycles. The Sandokan Enduro was held on the 14th of December 2013, in Madeira, Portugal. 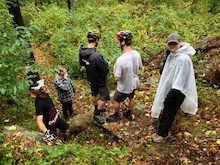 A group of friends decided to organize in just a couple of weeks an event showcasing their vision of Enduro Mountain Biking. Felt announces their seven-member enduro squad for 2014. How much do you know about setting up your suspension? 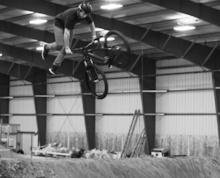 Northern Washington is now home to an indoor bike park, Burlington Bike Park. Reece and crew go hit up the goods. Winter time means SMX season for these riders. Barred For Life 2 is now shipping. 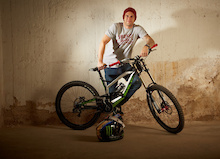 Blake is stoked to be with Saracen bikes for another season. iXS has put together an impressive roster of riders for the 2014 season, including Cedric Gracia. 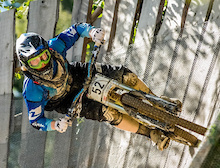 Andrew Crimmins will be starting off the DH race season this weekend as the newest member of the Kona Team. We're proud to present a new monthly contest that rewards your worst riding moments. Matt Damon talks to Jay Leno about taking up mountain biking and breaking his collar bone. Everyone's favourite bike park destroyer is back for another round of insane riding. Cam Zink is the newest rider on the YT Industries roster, joining Andreu Lacondeguy and Yannick Granieri. Galactic mayhem ensues as Tippie and Simmons drop into Martian territory for a red dust crusted space session. 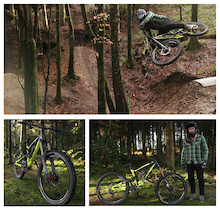 Check out James Doerfling in Episode 5 of Over the Edge - Guns, Dirt and Big Mountain MTB Lines. Canyon's heavy hitters Thomas Genon and Anton Thelander look back at their 2013 slope season. Box up your bike, book a flight and head to Madeira. 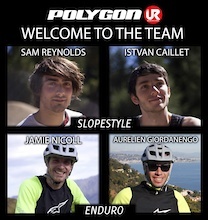 The UR Team expands to Slopestyle and Enduro for 2014, welcoming Sam Reynolds, Istvan Caillet, Jamie Nicoll and Aurélien Giordanengo to the roster. 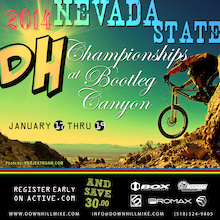 The Nevada State Downhill championships kick off this weekend in Bootleg Canyon. Here's a track preview to whet your whistle. Dan Milner journeys through the Dolomite range with bike and camera. What's better than a true trail epic? Tangi explores the riding in Mustang, Nepal, home of giant mountains and amazing views. The sounds that our bikes make is nothing short of music to our ears. 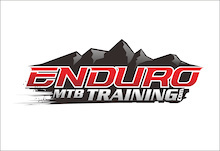 Enduro MTB Training has released enduro mountain bike racing’s first online comprehensive training and conditioning program. It took a while, but a stolen bike finally made its way back to its rightful owner thanks to an attentive Pinkbike user. Recaps are always fun to look back on. Headed to the Annapurna Base Camp is one thing, taking your bike is another level. 14 and full of style. Pau and Xavi hit up the trails in the Catalan region of Spain. Jarrett is best known for his skills on his slope bike and trail riding with his Malamute, but he's straight charging big lines on his DH bike in this video. We all love bikes, some just a bit more than others. These two friends fit into the "more" category. Jaws and friends were busy over the summer building new jump lines. Team MIA Santa Cruz headed down to the Indonesian archipelago for a tropical mountain bike adventure. Urban DH racing took place at the US National Whitewater Center, and despite some curveballs from Mother Nature it turned out to be a success. Outlaws of Dirt is heading to the Burlington Bike Park from February 22-23. Peter Henke adds Redbull and Canyon to his growing list of sponsors. Watch this week's episode to learn how to win a signed Sam Hill Team Chain Reaction Cycles/Nukeproof jersey. Despite the rain, Barcelona still looks like a great place to be riding this time of year. Intense announces two new additions to their senior management team. Enduro World Series announces a new centralised registration system for 2014 plus registration dates. It hasn't been easy, but MudTrek has brought a fully catered Alpine ski hut experience to mountain biking in the UK. Dany Hart isn't the only one that gets loose at Champery. Mark Mackay has the enviable task of being one of Whistler Bike Park's go-to photographers. Check out his summer slideshow in glorious 4k resolution. Bontrager throws every trick it knows into a competitively priced wheelset that features an all-mountain width carbon rim. Check out the trailer for underEXPOSED episode 2 with the Coastal Crew. Armed with a talented workforce and a can-do attitude, Saris manufactures a range of indoor trainers, bike carriers and electronic training tools in Madison, Wisconsin. Video: Gravity Life Episode 3 - No Looking Back. Good to see Oli's season wrap up and that he's pumped for 2014 now too, good luck. Recap Video: Share the Ride 2013! Check out the action from Vancouver and around the world plus find out who your Share the Ride prize winners are. What else would you call early weekend mornings and gatherings of like minded individuals at the trailheads? Dedication and hard work is paying off in Surrey, BC as the Invergarry Bike Park is getting a face lift. Follow the Rise crew as they go over all their GoPro footage from last season. This documentary web series follows the Nine Knights MTB 2013 event in Livigno, Italy and all the people involved in it. ISPO "Best Photo in Sports Business 2014"
Help make a mountain bike photo the Best Photo in Sports Business 2014. Bryan hits the trail with Kaia, one of the faster trail dogs we've ever seen. We don't need no education. 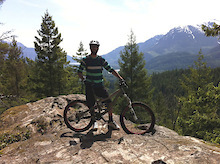 Getting after it in the park and the woods of BC. Behind the scenes video from a photoshoot in Spain. Diamondback is looking for riders to represent them in Europe. Watch this 15 year old shredder from London, Ontario, rip it up at Bromont. Mark your calendars - the Sant Andreu de la Barca Downhill kicks off on March 9, 2014. 23 videos to inspire you for another week of two-wheeled fun. From trail dogs to backflip ceiling taps, there's something for everyone. 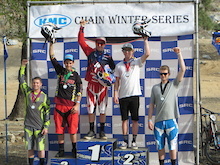 Kevin Aiello takes first place in Fontana today at the Southridge KMC Chain Winter Series. James Wilson discusses the role of posture and breathing on cardio training. No brakes, and every barspin combination imaginable in this video from Poland. Logan Binggeli is back in action in this course preview from the Southridge USA DH race series. A diverse group of riders head out for a shred in the Surrey hills. Back in October, Bergamont rider Simon Kirchmann headed to Morocco and this is his adventure. Check out this Friday afternoon quickie with Garrett Robertson. 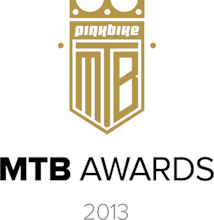 The results are in - find out who took home the 2013 Pinkbike Best Trick Award. Fabien Cousine of the Hutchinson UR Team shows us why he's the 3 time World Snowscoot champ. Just reading those two rider's names in the title means that this is going to be a great watch, so sit back, turn it up and enjoy. 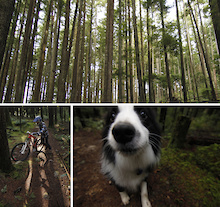 Pinkbike Poll: Dogs on the Trail? Warner will be joining Matt Erbentraut in competing at numerous enduro events throughout the 2014 season. Logan Peat and Josh Bryceland head out into the California sun for a must watch dirt and street session. Get ready to register for the 2014 BME Series and the Crested Butte Ultra Enduro. Representing your country at World Champs in any sport is a dream come true. Hitting up the trails in New Jersey and Delaware. It's time to Like KHS and get a chance to win a brand new frame. 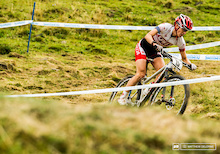 It's official - Hannah Barnes has moved to Yeti Cycles for 2014. We go in search of an oasis of calm (and singletrack) in one of the world's busiest cites. What do you do with a spare two days at your mate’s house? Grab the shovels and race the clock to the quickest trail build the world has ever seen. Get your pump on with these helpful tips from mountain bike coach Tom Dowie. Tomas always throws down and his 2013 recap video proves that. The 2013 demo reels keep on rolling in. Check out the latest from Colin Grant. Watch UK 4x rider Dan Bateson shred up Woburn Sands bike park on a downhill bike. Imprint Grips – Has the Perfect Grip for Us All Finally Arrived? Imprint Grips are a revolutionary new grip that enables you to easily shape your grips to fit your own hands. Making the most of the available terrain in East Germany. If you love to ride in the Whistler Bike Park, then you should know more about this man and what he's done for the sport. The SloEnduro series returns for 2014 with eight races. It's winter, it's wet and it's time for a night Enduro. A few injuries didn't stop Jakub Vencl from having a fun and successful season. The Hutchinson Staff wishes you the best for 2014. Highland Mountain Bike Park in association with the Tilton School are proud to announce the Tilton at Highland Merit Scholarship Program. This is a great look at Eliot Jackson and his life on and off 2 wheels. We review Suntour's RUX, an air sprung downhill fork now available after three years of development. The results are in - find out which events took DH Race of the Year, Enduro Race of the Year, and FMB Event of the Year. Bas van Steenbergen heads to Vancouver Island and hits up some of Mark Matthews big ol' senders. The crew drop in on Amir's legendary jam session in Boppard. The North American Enduro Tour returns and looks to add up to three new events – New Events Apply Now. 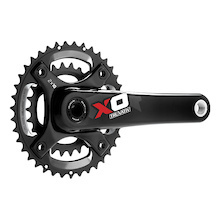 Chromag and the Accell Group set to manufacture their own versions of SRAM's X-SYNC chain rings. Check out the action from the first round of the PCA (Progressive Cycle Association) Winter Enduro Series in Southern California. Relive 2013 in photographs: these are the most viewed images of the past season. Pinkbike's Male Gravity Racer of the Year, Female Gravity Racer of the Year, and Slopestyle / Freeride Athlete of the Year have all been decided. Take a look at who ended up in the top spots. Trek Bicycles, Bell Helmets and Share the Ride collaborate with the Roll it Forward program in Boston to put big smiles on little faces. SRAM takes us through their 2013 season highlights. Relive 2013 on video: these are the most viewed films of the past season. Save some pennies through the holidays for sale season? 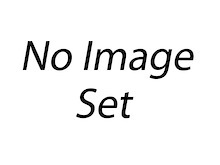 Here are some online deal picks for January. The how, the why, the what. Red Bull takes us through its filming process during UCI World Cup DH Season. Take a look at the top stories from the second half of 2013. The first round of the Shimano/Kenda PCA (Progressive Cycle Association) Enduro Series kicked off at Black Mountain this weekend. Check out the action and recap inside. We are stoked to announce that Tom van Steenbergen is the newest Trek C3 Project rider. 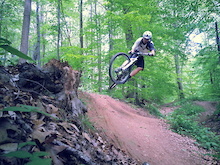 Trail testing a sweet handling aluminum-framed, 140-millimeter travel, all-mountain shredder from Germany. We are extremely happy to announce that Matt Simmonds and Kazuki Shimizu will be joining Manon Carpenter and Sam Dale on the Madison Saracen Factory Race Team for 2014. Madeira is a small island with a vast network of trails. This video has us dreaming of summer again. After welding thousands of frames over the course of a 27 year career, Chris Dekerf knows a thing or two about his craft. The Mulally brothers and company get loose in Reading, Pennsylvania for the third instalment of this Eastern US video series. Check out the all-new PARABELLUM by Hannah Barnes for Met Helmets. What would you do for one more top to bottom lap of the Whistler bike park? After Euan received his brand new Inspired Arcade trials bike, I immediately set about sorting him a video. Check out this crash from Val di Sole. The Alberta riding community lost a friend at the end of 2013 and we want to show how you can hopefully raise awareness for others. 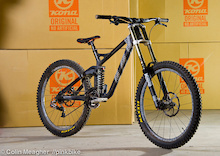 2013 was a big year when talking about new bikes and components, with fresh frame designs and suspension products that present a definitive advantage over previous offerings. There were some that made an even bigger impact than others, though, and those top dogs have been selected as the 2013 Pinkbike Gear Awards winners. Inside, we present to you the Downhill Bike of the Year, Mountain Bike of the Year, Suspension Product of the Year, and Component of the Year. The very first Movies For Your Monday of 2014. 19 videos to start the new year off right. The Lahnvalley Crew always has a great season and looking back at 2013 is no exception. Mtbmagindia and Adventure Zone organised India's first pumptrack challenge in Kolkata this December. A short clip from the upcoming Signatures movie. 2013 was full of new products, racing and riding. Take a look at the highlights from the first six months of this past year. A dose of hardtail action from the Chicksands Bike Park. Dry trails and sunshine in this edit from Mark Errington. Joe Adsett kicking off the 2014 season with some down time at the Forest of Dean. Mountain biking in the shadow of the Himalayas. One high flying minute with Andreu at the La Poma dirt jumps. Check out the dates and locations of the Azores Enduro Cup. For this week, we're going to skip the opinion piece and ask a simple question: what do you ride, for how long, and how often? Plenty of unique angles in this video of Andres Biersteker flipping and spinning at his local jumps. Check out the most viewed videos from the month of December. The project began in 2005 with a few friends sharing the same passion for bike and wanting to create their own trail. The Blackmetaul Downhill trail is located on the sides of a mountain called Les Pléiades overhanging Lake Geneva in Switzerland. Dan Milner takes us to the Island of Majorca to explore its rugged trails and gorgeous coastline. After taking a two year hiatus to focus on 4X racing, Katie Curd will be a contender on the downhill race circuit next season. Jack Fogelquist is one of our favourite slopestyle riders but he's also amazing on a downhill bike. 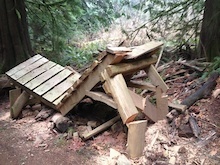 It's great to see riders putting in time to build their own trails and stunts. Brian Cookson discusses his first three months as president of the Union Cycliste Internationale (UCI). Reece and Andy head out for a sloppy start to the new year. A compilation of a season's worth of POV footage. Check out the top Photo of the Day images from the month of December. 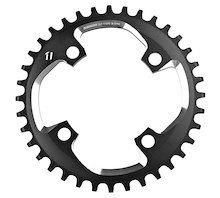 The missing link for ten speed one-by drivetrains costs $100 and it converts most Shimano and SRAM cassettes to wide-range gearing. Follow the journey of Blake Samson, his brother Ray, and Harry Steele as they travel to the island of Fuerteventura.